Getting to capture the union between two loving people is something I cherish. Although I’m not a wedding photographer, I love photographing elopements. 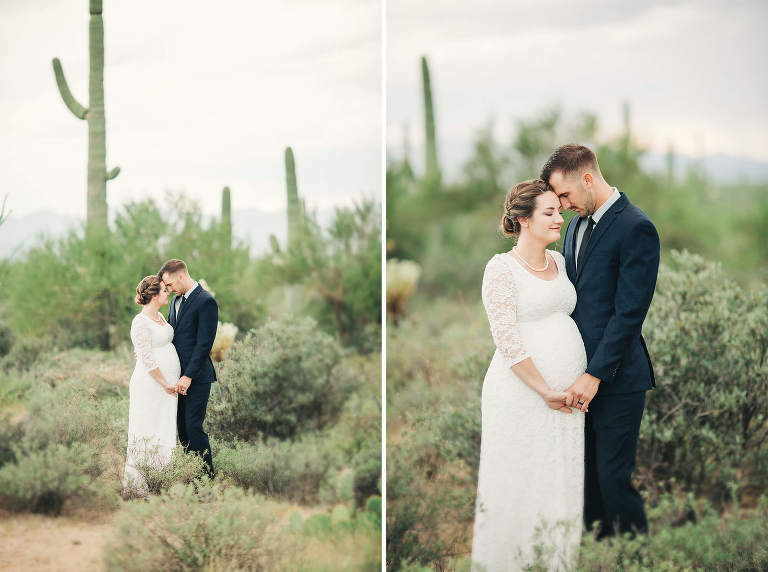 I was thrilled when Amanda chose me to photograph her desert elopement at Gate’s Pass. Gate’s Pass is a breathtaking location just outside of Tucson. It’s one of my favorite locations for photography, especially elopements. The day started out stormy. I was a little worried, because Tucson was under a blanket of heavy rain and thunderstorms. Amanda assured me, however, that come rain or shine, the wedding would take place. As I started my drive to Gate’s Pass, it was still raining hard. Miraculously the closer I got, the rain began to lift and the dark clouds lightened. By the time I arrived, the rain had stopped and the thunderstorms had receded. I met Amanda and Kenneth, who were joined by their immediate family, and we walked a short distance to where their ceremony would take place. The ceremony was short, but intimate and romantic. 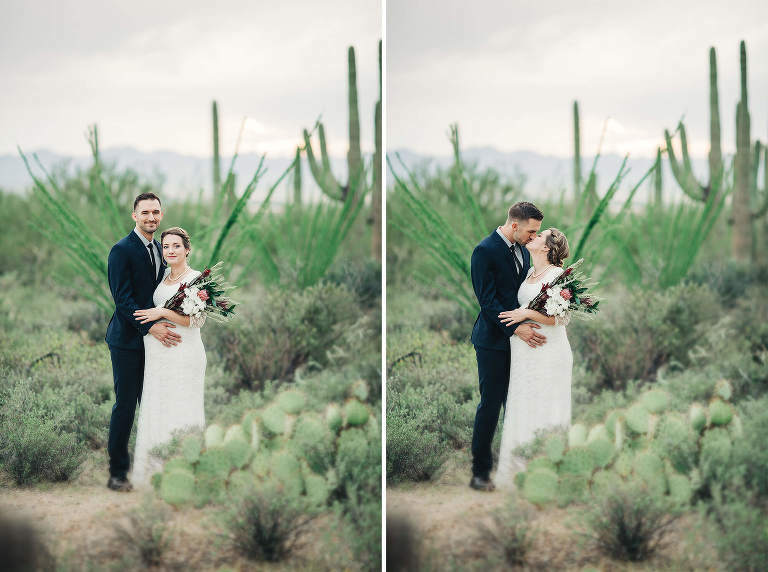 Even the sun peaked out from behind clouds to shower them with light and warmth as they said, “I do.” Photos followed starting with their family, and then transitioning to just the loving couple. 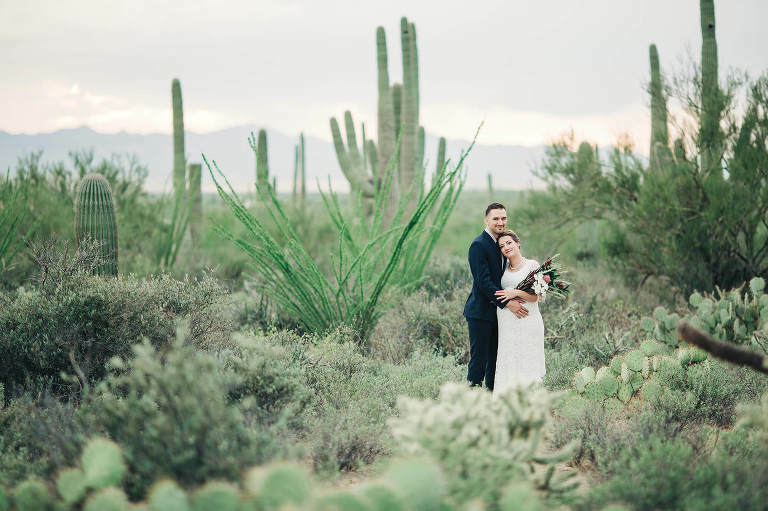 Gate’s Pass is an amazing location for couple’s photography, because the saguaros and desert fauna make for beautiful, unique and romantic framing. The cloudy skies also allowed for me to capture the mountains beyond the desert floor. As we were finishing, the sun shone through the clouds before ducking behind the mountains. It created one of the greatest stormy sunsets I’ve seen here, with brilliant oranges, pinks and purples. As I snapped my last image, the clouds opened up and rain poured down once again. 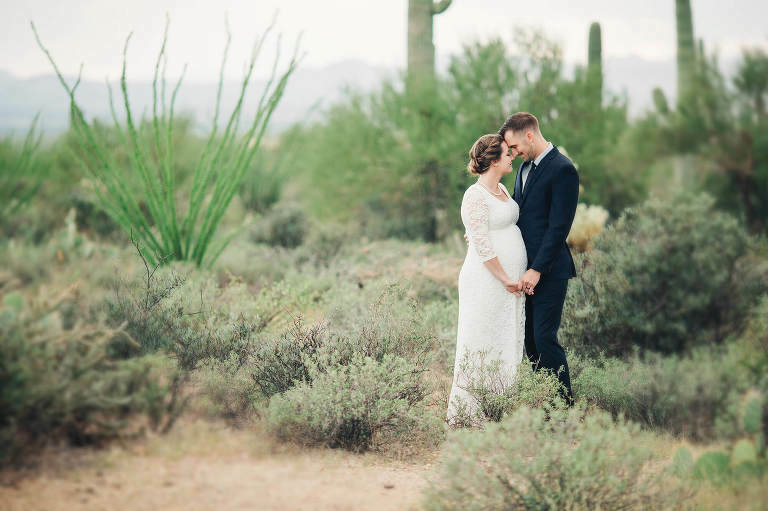 It was the perfect end to their beautiful union and gorgeous elopement session.